I am really enjoying listening to this selection. 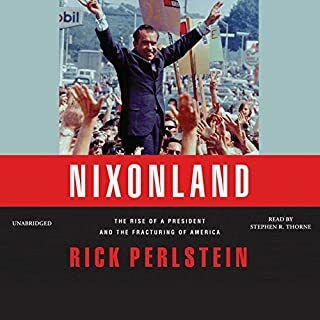 It's a lively history of the turbulent years of the late fifties through the early seventies, with an emphasis on understanding how the Nixon presidency played on and widened the polarizations that are still gripping this country: gaps in education, race, social standing. How Nixon's own jealousies and resentments helped him play on the resentments of the people whom he named "The Silent Majority". The book is interesting, well written, never dry, and it's obvious the writer is completely engaged and passionate about his subject. OK, that's the book. It's great. I agree with Jerrold that the publisher of this audiobook should be ashamed of the shoddy job this reader did. Not only does he mispronounce many words, but more embarrassingly, names like Dean AY-chison, Sander VAN-oker, and more. Come one, these are people in history. How could an editor let this go by? It's tough not to find it a little distracting. Nonethless, I can almost wholeheartedly recommend this listen. The quality of the book is good enough to ignore the idiocy of the reader. This great time capsule of a book captures the abundant popular history of the United States from 1932 to 1972. It encompasses politics, military history, economics, the lively arts, science, fashion, fads, social change, sexual mores, communications, graffiti...everything and anything indigenous that can be captured in print. 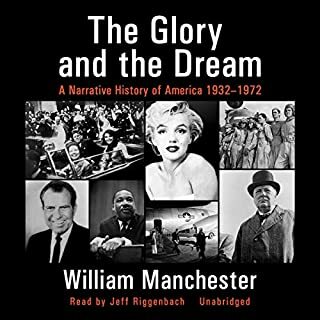 This is a huge, sprawling, masterpiece of a book which chronicles the history of the US from the depression era through the early 70's. The writing is tremendous, very human, finely detailed and yet broad in scope. Concentrates much on biographies, but also enables one to understand economics, politics, wartime strategies, and more, through explanations that are very accessible to "lay readers". Extremely engaging, even thrilling. Frustratingly, the recording is of extremely bad quality, with many- and I mean MANY skips which I presume to be from the source discs. This makes several sections quite hard to understand. I am trying my best to keep going despite the terribly distracting skips. I don't want to tell you unequivocally to stay away, because it's such a fine work, and the narration is quite good too. But beware of this issue. 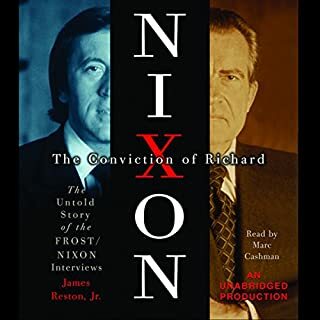 In The Conviction of Richard Nixon, Reston provides a fascinating, fly-on-the-wall account of his involvement in the Nixon interviews as David Frost's Watergate adviser. Written in 1977 immediately following those celebrated television interviews and published now for the first time, The Conviction of Richard Nixon explains how a British journalist of waning consequence drove the famously wily and formidable Richard Nixon to say, in an apparent personal epiphany, "I have impeached myself." Well written and well narrated story of the Frost/ Nixon interviews, now in the public consciousness again with the Broadway show "Frost/ Nixon" and next year's movie version. The story might remind one of "All the President's Men" or other political thrillers. A gripping account of the extensive research and uncovering of new information surrounding the Watergate robbery and coverup in preparation for David Frost's 1977 interviews with Richard Nixon (the author was on the team of researchers who prepped Frost), and how Frost, a "lightweight" in the world of journalism, was subsequently able to confront Nixon and get him to admit wrongdoing and culpability, something even Mike Wallace had failed to do. A fascinating chapter in recent history. Wholeheartedly recommended! Writing from his prison cell in Nazi Germany in 1945, Dietrich Bonhoeffer, a young German theologian, sketched a vision of what he called "Religionless Christianity". 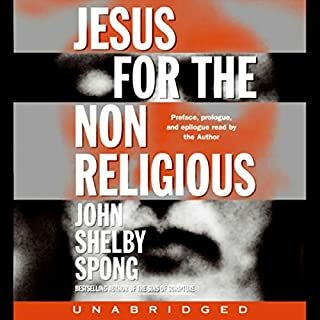 In this book, John Shelby Spong puts flesh onto the bare bones of Bonhoeffer's radical thought. The result is a strikingly new and different portrait of Jesus of Nazareth, a Jesus for the non-religious. OK, I get that, and it IS really interesting. In short, I've about had it with Bishop Spong because he's all about the negative (this is NOT true) and none about what shape that new kind of faith would take. I'm now hoping to find some writers that will help me figure that out. 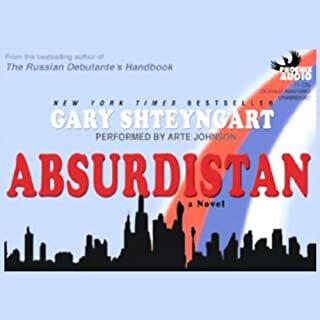 Shteyngart's second novel (The Russian Debutante's Handbook, 2002, was the first) is a wild ride that follows its protagonist and narrator, Misha Vainburg, from St. Petersburg (or St. Leninsburg as he prefers to call it) to a tiny country in the Caucasus called Absurdsvani. I can't think of anything else I've ever read to which I can compare "Absurdistan". It has a bit of a superficial kinship with "Confederacy of Dunces"- it treads a little of the same political satire ground as "Catch 22"- but it is a truly original creation. Topically biting, endlessly entertaining, laugh out loud funny, yet it also has sweet moments; like any great fiction, you end up learning things about humanity. Beautifully performed by Arte Johnson. Another reviewer has faulted his inconsistent dialect and "old man" sound; what he DOES have is the impeccable comic instinct and timing necessary to deliver this comedic masterpiece. I agree with Laurie's review! 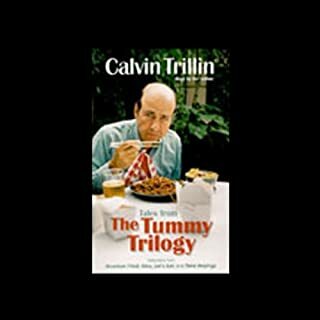 Let me preface this by saying that I LOOOOOOve Calvin Trillin's writing, have done so for the past 25 years. Both his food writing and his novels are always laugh out loud funny. It's impossible to understand why his narration of his own stuff is SO dreadful: monotone, no sense of comic timing or delivery. How can he write like that and yet read like that??? but DON'T listen to it! Here is a fascinating biography of those who were, in the mid-19th century, at the center of American thought and literature. It was an eclectic cast of characters. At various times in Concord, Massachusetts, three houses were home to Ralph Waldo Emerson, Henry and John Thoreau, Louisa May Alcott, and Nathanial Hawthorne. Among their friends and neighbors were Henry James, Emily Dickinson, Walt Whitman, Edgar Allen Poe, and others - men and women are at the heart of American idealism. 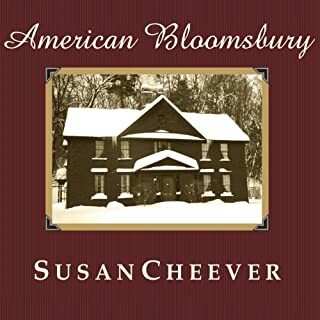 This is a well-publicized work by a well-known author (daughter of John Cheever); I picked it up after hearing a few interviews with the author on various NPR shows. It coincided with the interest I already had in the Transcendentalists. The overall tone is light, chatty, even dishy and gossippy, and much more time is spent on the love lives and intrigues among the Hawthornes, Emersons, Thoreau brothers, Alcotts, Margaret Fuller, et al, than their lives of thought and literary output that was so profoundly influential to everything that followed in American culture. OK, that having been said, I do think Cheever gets right a very superficial overview of the Concord group. It's a decent introduction for the absolute beginner. It's also appreciated that she gives equal weight to the women of the circle (which some other even contemporary books on this subject do not). 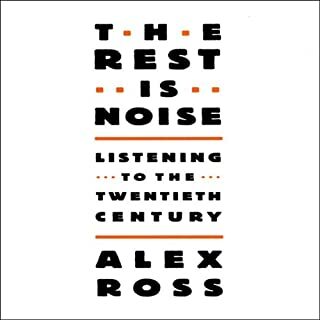 I hope the listener will use this selection as an intro in that way, then move on to other more scholarly works (Robert Richardson's bios of Emerson and Thoreau, Geldard's books on the spiritual teachings of Emerson) and then the works of the residents of Concord themselves, an amazing cluster of authors and thinkers. This selection was entertaining enough to while away a trans-oceanic plane ride, but only just. We know Nora Ephron's reputation as a screenwriter ("Heartburn", "When Harry Met Sally"). I was expecting more humor. What I got was a lot of New York rich white woman whining on a lot of subjects that many of us are never in a position to consider (rent-controlled luxury apartments with doormen, for instance), leavened with sone (but not enough) wry wittiness. 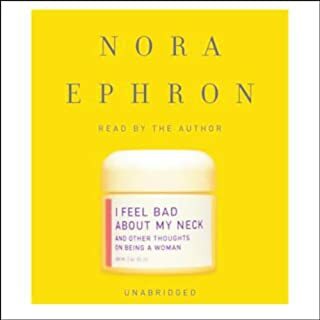 The big disappointment comes toward the end, when Ephron begins to wax very negative and pessimistic on the subjects of aging and death. Very depressing, without so much as the relief of a smile! Not awful, but not wonderful either. Read it, DON'T listen to it! I think this is probably going to be a very entertaining book to read. 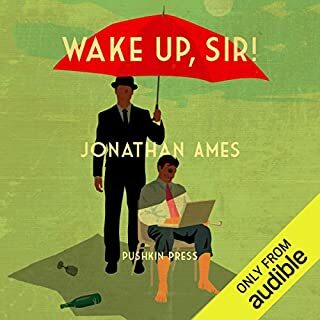 It's a spot-on recreation of the style of P. G. Wodehouse's "Jeeves and Wooster" stories, set in modern day. BUT... why do authors think it's a good idea to do their own audiobooks?? What a dreadful reading this is! Monotone, boring, no vocal characterisations, no inflections at all! Ames could be reading stock quotes, it's so tedious. So my recommendation is, get a copy of the book, read it, and imagine Jonathan Cecil or Martin Jarvis narrating it. You'll have a much mroe enjoyable experience.